In 1977, Lee College established an educational/vocational Horticulture Program at the O.B. Ellis Unit correctional facility. This program offers an A.A.S. degree in Horticulture as well as certificates in Horticulture and Landscape Management. Students have additional opportunities through the Texas A&M Master Gardener’s Program. 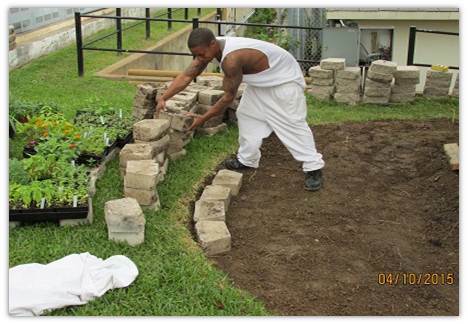 Located within the prison complex, the site includes individual gardens, a community garden, greenhouses, a nursery, a parakeet aviary, aquaponics enclosure and a classroom/computer lab. The students in the program are convicted felons whose backgrounds often include veterans, ex-gang members and others with a history of substance abuse, mental health or emotional issues.